Neila calved for the first time with an AI breeding in the spring of 2013. Her Dairy Girl training went wonderfully and she was a dream in the stanchion. She consistently gave 1/2 gallon with once a day milking while also feeding her fat bull calf. 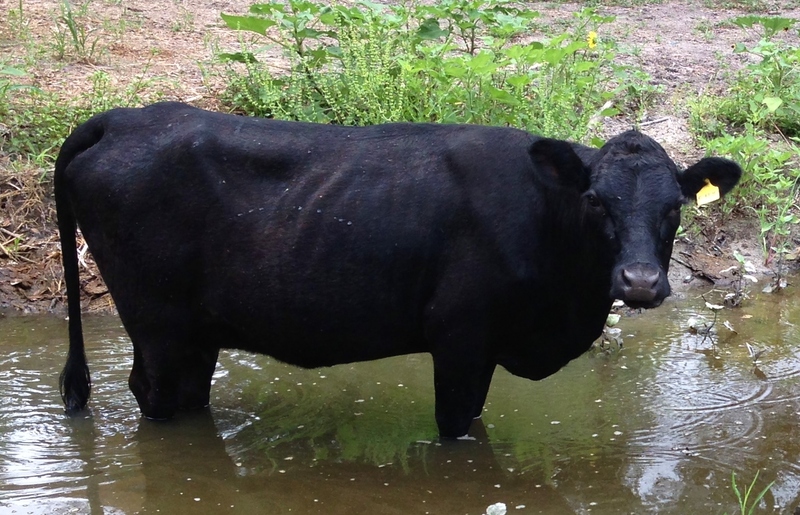 Neila was pasture bred to Neely for a January 2015 calf!